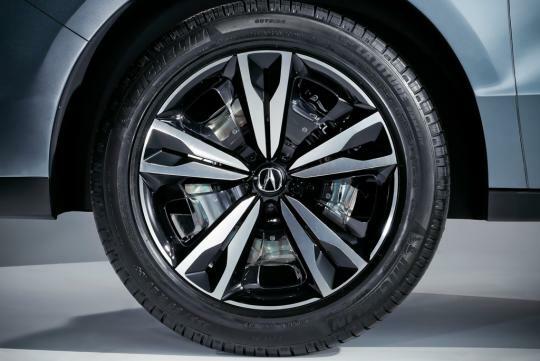 Honda's premium arm - Acura presented its 2014 Acura MDX Prototype at the 2013 North American International Auto Show (NAIAS), offering a first glimpse of the styling direction for the third SUV which seats seven passengers to be launched by mid-2013 in either an all-wheel or front-wheel drive layouts. 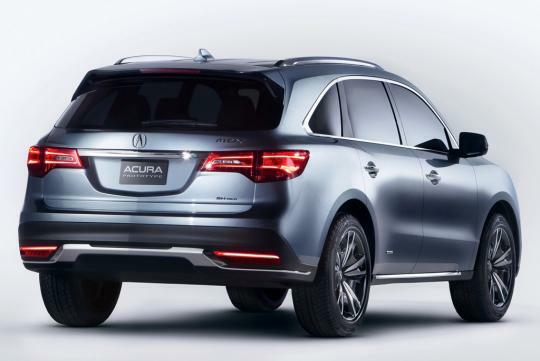 "Our goal is to advance on MDX's already great dynamic performance while improving fuel economy and luxury comfort. 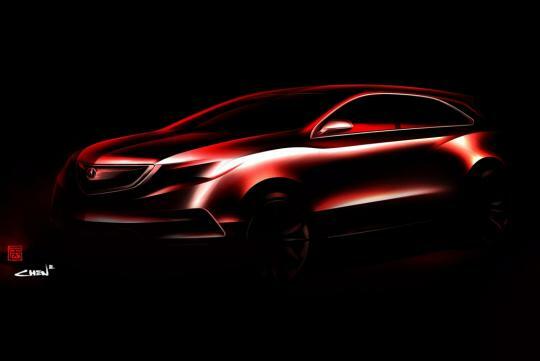 Building on the great momentum we established in 2012 with the launch this year of our flagship RLX, followed later this year by a terrific new luxury SUV in MDX we are very excited about the direction of the Acura brand. And we are truly looking forward to a great 2013," said Mike Accavitti, vice president of national marketing operations. 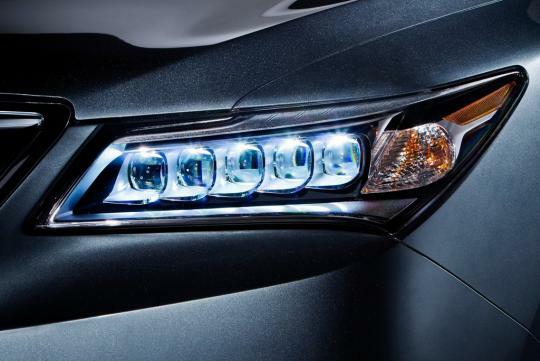 Let's be honest its looks like a typical Honda with the corporate face of an Acura - so no surprises on the styling front though the eye-blinding Acura Jewel Eye LED lights adds a nice touch. 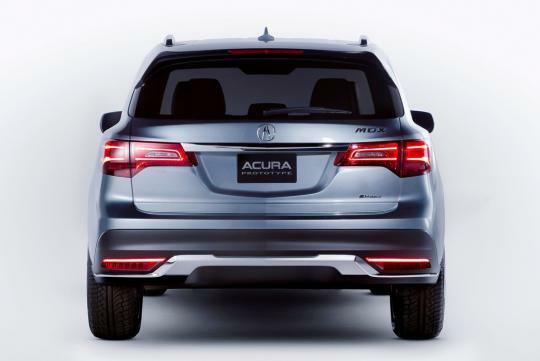 The 2014 MDX Prototype is 38mm lower than the preceding model outgoing model but features a longer wheelbase for an enhanced ride quality, an increase in legroom in the second row - which in turn improves accessibility to the third row. 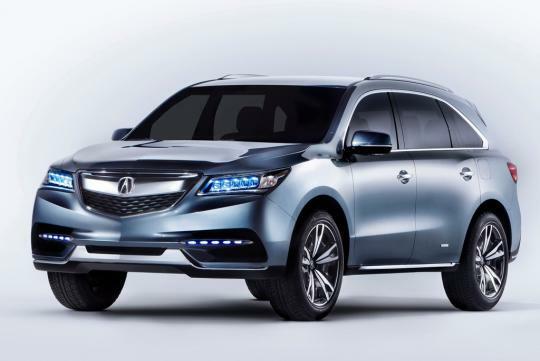 In a bid to pacify the strong demand for the MDX, Acura will offer a front-wheel driven variant for 'warm weather markets' (UAE) on top of an all-wheel drive. 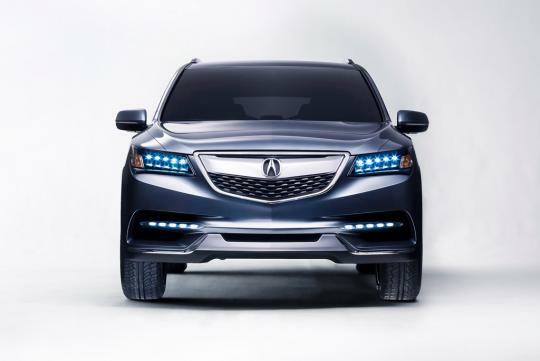 Powering the MDX is an all new, 3.5-litre V6 engine and will be produced in Lincoln, Alabama. 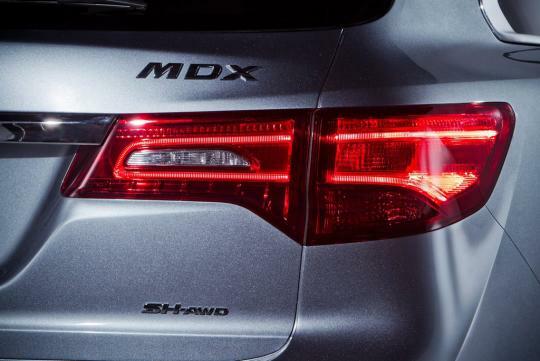 Using domestic and globally sourced parts, the MDX is built exclusively in North America.